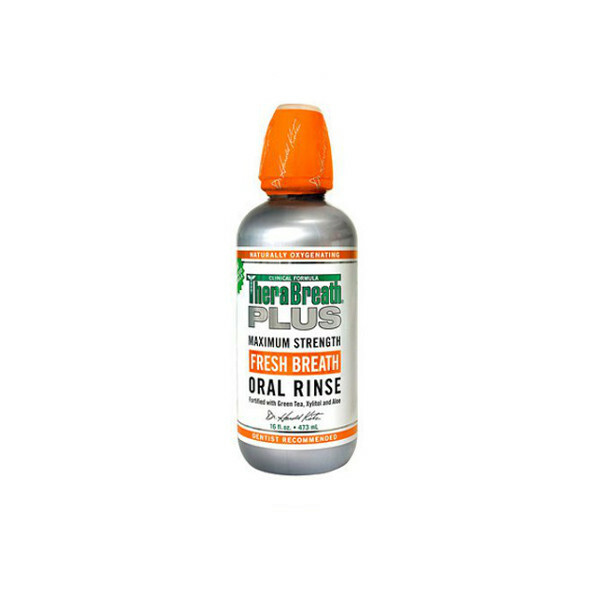 Therabreath plus oral rinse is a strong bacteria fighting oral rinse that has a light mint flavor. Experience fresh breath all day long. 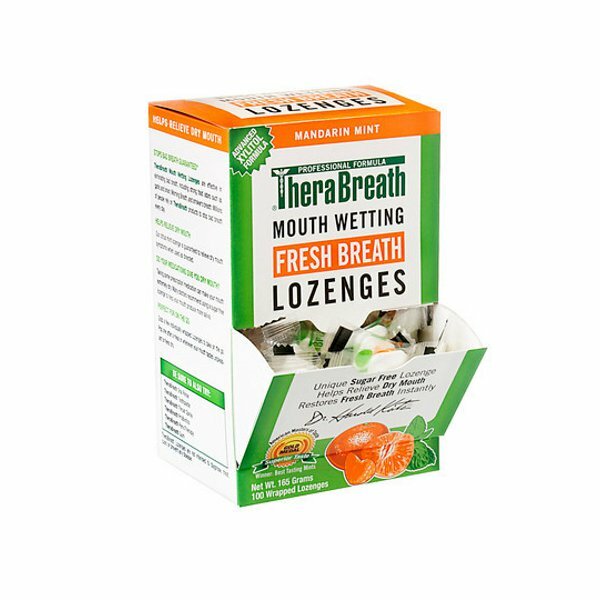 Best used with Therabreath plus toothpaste for complete confidence. 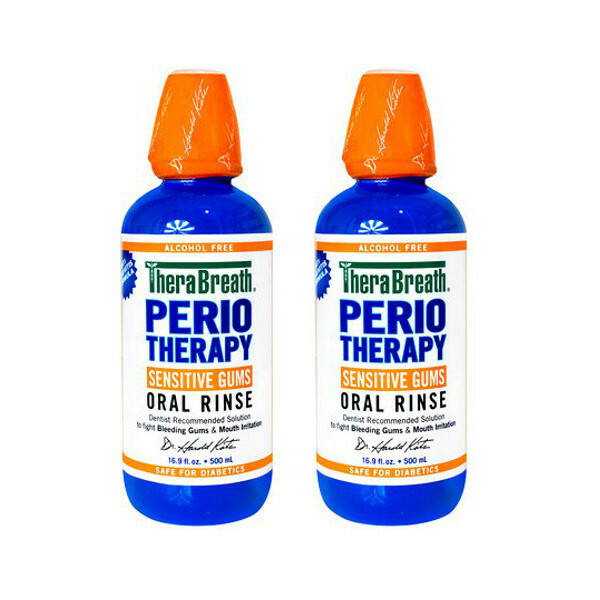 Use one or two measures of Therabreath oral rinse after brushing with Therabreath toothpaste. Ingredients: Aqua (Water), Sorbitol, PEG-12, OXYD-8? 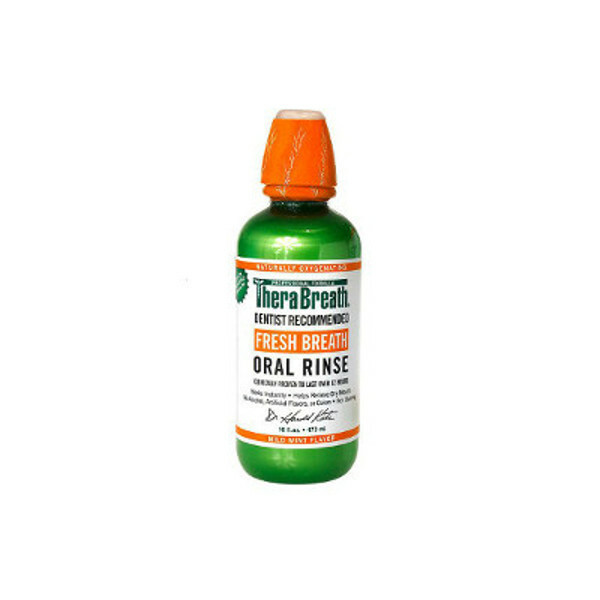 (Dr. Katz’s proprietary blend of Sodium Chlorite), Zinc Gluconate, Aloe Barbadensis Leaf Juice, Xylitol, Ammonium Glycyrrhizate, Camellia Sinensis Leaf Extract, Melaleuca Alternifolia (Tea Tree) Leaf Oil, Menthol, Flavor, Sodium Bicarbonate, Sodium Benzoate, Sodium Citrate, Polysorbate 20.